WHY: I'm a staunch Lower Dens supporter, so it was only a matter of time before Nootropics popped up. It is, as expected, a beautiful record sonically. 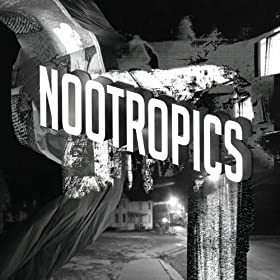 Filled to the brim with a cacophony of all manner of sounds, swelling and crashing all over the place, Nootropics is a beautiful animal, never standing still and constantly changing its' stripes. And as an aside, not to take away from the artistic merit of the record, but since I've commented on this before when it comes to Lower Dens, yes, friends, it also happens to make for some serious mood music. Trust me. MY JAMS: "Alphabet Song" "Stem" "Propogation" "Lamb" "Nova Anthem"